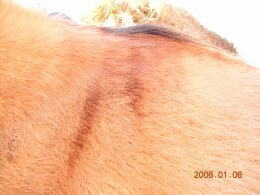 A special thanks to the owner, Miss Robyn Martin, for providing photos of Dusty's primitive marks. Robyn has been particularly helpful and enthusiastic (going out especially to take photos for me), even though we'd never even heard of each other just a month ago! Thankyou Robyn!